Despite suffering from chronic tonsillitis, my husband managed to cooked macaroni salad for me yesterday as I've been craving for it since we were on our vacation in Manila. 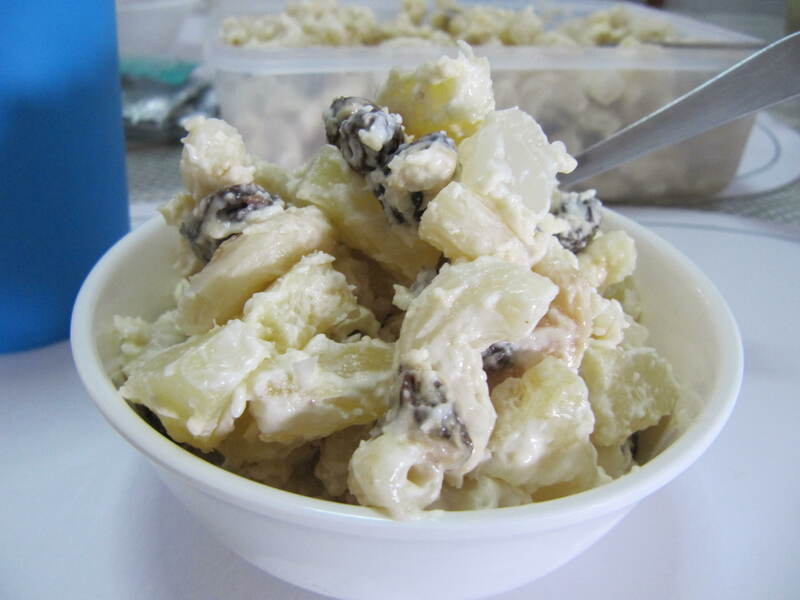 This is a typcial Filipino sweet macaroni salad that is usually served as dessert. Frederick's macaroni salad doesn't make me get cloyed easily coz it has the right blend of not-so-sweet and not-so-sour taste. The kids loved it. Elbow Macaroni - 250 g.
Nestle all-purpose cream - 250 g.
1) Cook the elbow macaroni as directed in the package. rinse with water and let it cool. 2) After the macaroni has cooled down, add the rest of the ingredients, combine them all together until they are all well mixed.